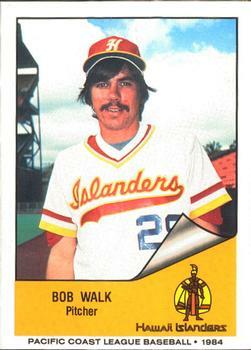 Tex could you possibly make this home jersey of the Hawaii Islanders when you have the time? You made the away jersey and cap awhile back and would like the home jersey to complete the set. Last edited by txranger; 04-14-2019 at 01:31 PM. Last edited by txranger; 04-14-2019 at 02:12 PM. I think this completes 12 of the 48 teams for the NEBL. Last edited by knuckler; 04-15-2019 at 05:53 PM. I, totally agreed with Mr. Germaniac!!! ... Absolutely fantastic work from both, "The Dynamic Duo"
do you happen to have a logo set with the cap logo for this? I am going to use these Danbury Derbies logos from before as they are some of my favorites. Five out of forty-eight completed! I have a lot of these plotted out, but if you have a suggestion for a New England city/nickname you want to see included, don't hesitate to let me know. Don't know if you've got all the teams mapped out yet, but if not, you could put a team in Lewiston, Maine. Former mill town (weren't they all), so maybe...the Millers? Dunno. I was definitely going to include Lewiston-Auburn with Twins as a possible nickname. Last edited by knuckler; 04-15-2019 at 04:24 PM. It will probably be a few days before I can add any logos. I wish I could pump them out a little faster, but it's slow going right now. Good food takes time... good wine, too. No rush... your stuff is worth waiting for. These look great as always. Thank you! I'm trying to narrow down a nickname for Bridgeport, CT. I'm leaning toward a circus theme since P. T. Barnum lived there. Jumbos, clowns, and tigers (bengals for the alliteration) were ones I was thinking of. Also that Sounders might work since the city is on Long Island Sound. Just my opinion... Jumbos would be my favorite... but don't let me sway you... pick the one you like best. When I think of a circus, the first thing that comes to my mind is elephants. Last edited by Jabez54; 04-19-2019 at 08:51 AM. Remember this Yankees logo? Would it be possible to add the city name "Akron" to it in some way? I absolutely LOVE your distressed logos. Last edited by txranger; 04-19-2019 at 09:10 PM.